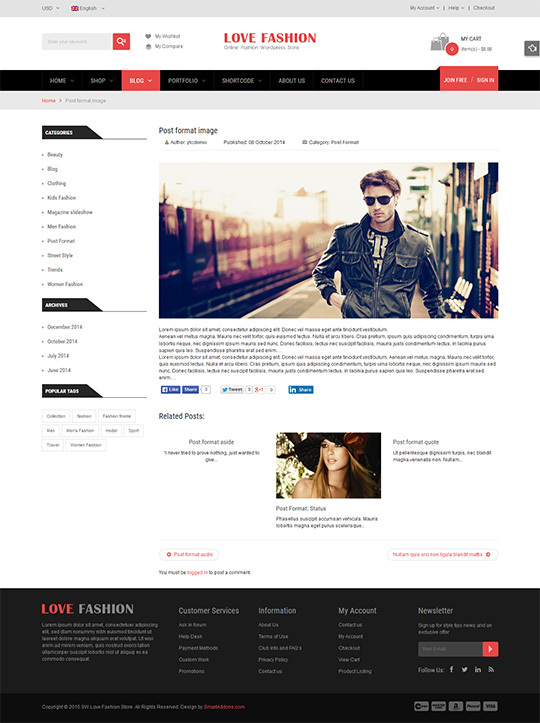 Love Fashion is a fully responsive WordPress theme. Your site will looks perfectly on any devices & screen resolution. 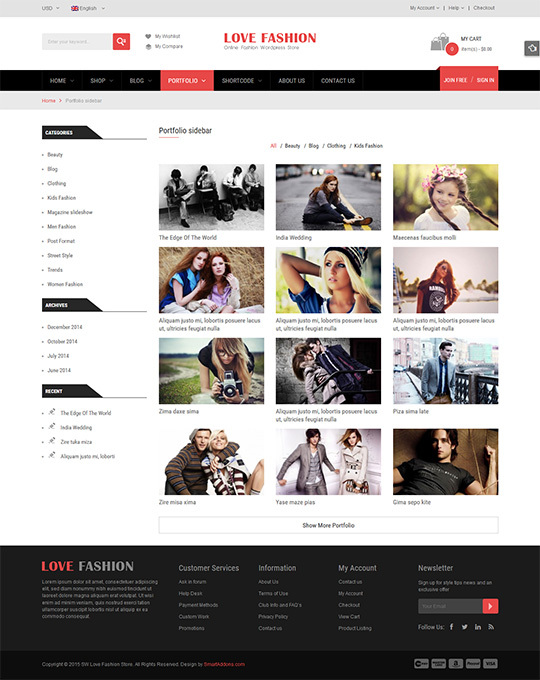 The theme supports 3 different header styles. You can create your own header style to use for your store. 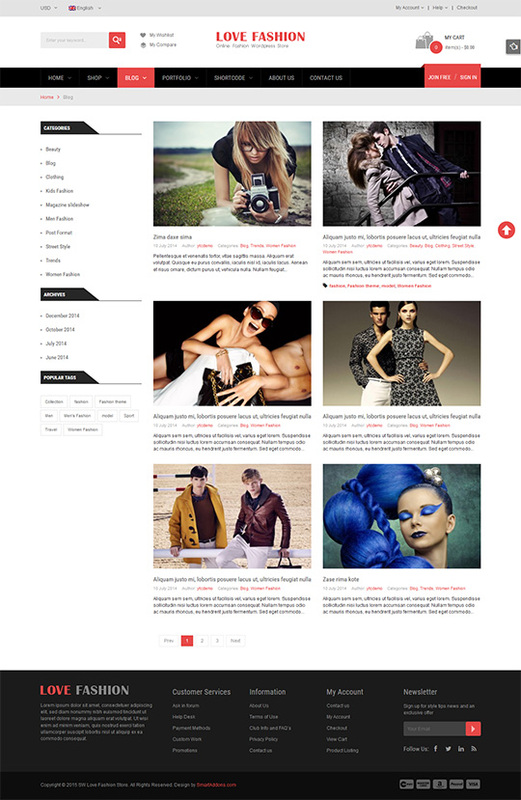 Easily design & build highly customizable mega menu with images, widgets, shortcodes, custom HTML and more. You can easilycustomize the background image and change settings to meet your idea with boxed layout. 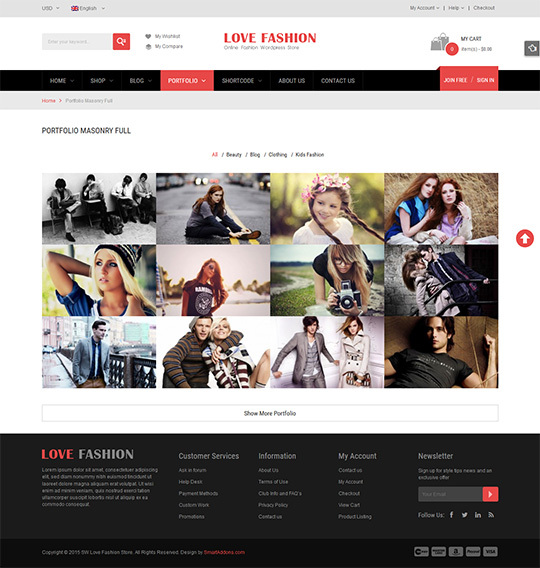 Love Fashion is available with 14 custom widgets which allow user to choose styles and how to display them. Support to show a single product/multiple product by ID or SKU and a lot of payment options & shipping options available. Be built-in Minicart widget, you can select product to buy without leaving current page, instantly add product to basket. Love Fashion comes in two languages versions: LTR and RTL to respond to users who communicate with right-to-left language. With an easy-to-use admin panel, you can totally control your website as well as make any change that suits your wishes. It allows you to create advanced custom content with minimal effort or even without any knowledge how to code HTML.